Fall sports are just around the corner, and we’ve got spirit! Whether it’s football, golf, basketball, baseball or hockey, sports marketing is popular for a reason. Everyone has a good time on game day, and brands love being part of the action, and building recognition and goodwill among sports fans. From pewees to pros, branded gifts can take your fall event or program to the next level. They can boost morale, generate excitement, and promote your brand at the game or the tailgate. And don’t forget the armchair quarterback! Products they can take home and re-use will get your brand in front of the recipient for days, weeks, or years to come! That’s what we do. 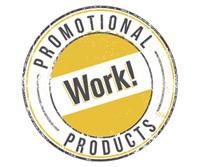 Since 2005, we have been helping companies with their promotional product needs and promotional marketing campaigns for every budget. You can read our customer testimonials to see what our clients have to say about us. Want to host a large PR event that attracts a lot of attention and garners a good bit of press or media coverage? “Er, but we don’t have that kind of marketing budget,” you say. “Well, no worries,” we say! Do you recall reading an article on ‘Cost per Impression’ from our promotional products research library about the marketing tool that has the lowest cost per impression? Give us a call, and let us help you brainstorm some effective, but outside-the-box promotional marketing ideas that will work in your specific context. A marketing idea that works for the hospitality business may NOT necessarily work for the hospital business. But since we do work with both types of organizations, we can bring some cross-pollinating ideas from one industry’s context to another.